Though not much is known about photographer Adnan Bubalo, his stunning nature and landscape photos speak for themselves. His most captivating works feature the hills of Tuscany in central Italy. 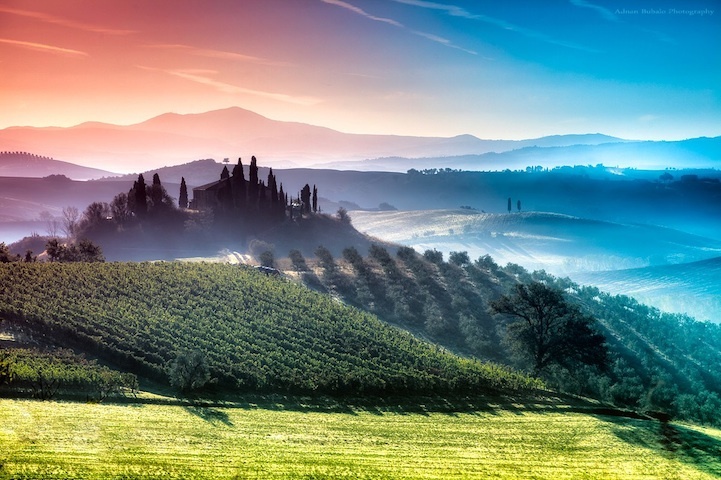 With its spectacular rolling hills and surrounding scenery, Tuscany is one of Italy's top vacation destinations and a dream for photographers worldwide.